This donation-based, Mindful Parent series has been created to support, nurture and guide parents on their lifetime, parenting retreat. Each drop-in session includes elements of self-care, mindfulness practices, education, group discussion, and experiential exercises in a community of parents. This program is suited for beginners and experienced mindfulness practicioners alike, and weaves self-compassion, communication skills, emotional regulation and the neuro-biology of the developing child into a six, accessible and affordable sessions. 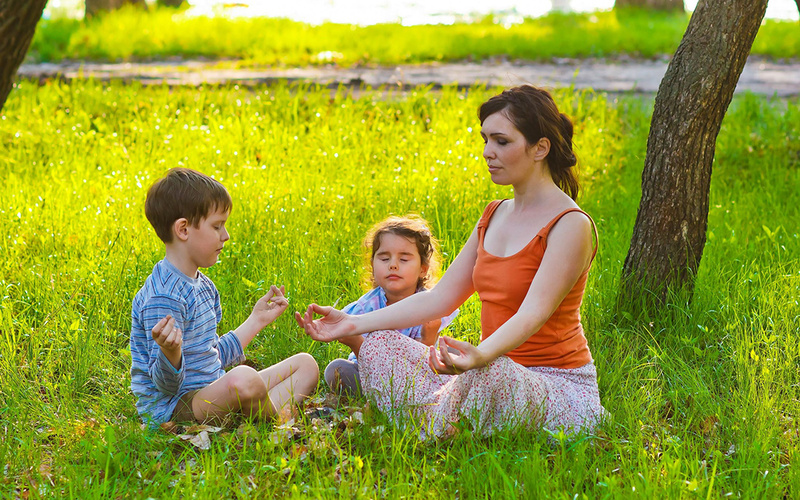 Cultivate an embodied understanding of what mindfulness is, and how to apply it to parenting. Learn and practice a variety of mindfulness practices to nurture self-compassion, non-judgmental awareness and mind-body connection. Learn Mountain Parenting and the ability to respond skillfully and compassionate with your partner and children. Understand the neuro-biology of the developing brain – in easy to digest terms – and how to hope your child regulate challenging emotional states with confidence and a grounded prescence. Practice self-regultion with challenging emotions through the bottom-up. Build a supportive community and individual practices as the foundation to Mindful Parenting. a. Practice 1 mundane act (eating, brushing teeth, shower, drinking, etc.) mindfully each day and write a short pragraph about your experience using thoughts, feelings and sensations. b. Watch this video and if interested, implement in your day. c. Prepare for the next class by taking this Self-Compassion Assessement. Bring results to the next class! a. Experiment with practicing a self-compassion guided exercise each day. Take notes on your direct experience (thoughts, feelings, and sensations) after the exercise. Click Here for exercises. b. Complete the Attachment Style Quiz and bring results to class. a. Write down a list of ‘expectations’ you have for your child. Please do not censor and be honest. Examples might be: “I expect my child to make good decisions about the friends they choose,” or “I expect that my child will listen to me,” or I expect that my child understands consequences. b. Do a google search for ages and stages of development around cognitive, emotional and physical abilities. Go through your list above and circle any expectations that you have that are not realistic based on average developmental stage development. a. In what ways do you attempt to achieve a state of regulation? (yoga, yelling, drinking, hiking, smoking, eating, sleeping, isolating, connecting, checking out with t.v./social media, etc.) Is your style or strategies/behaviors what you would like your children to see? Is it the style you want them to adopt? b. What regulation behaviors were modeled to you as child from parents or caregivers? What impact did these modeled behaviors have on you as a child and adult?